"The Lodger" was the audition show for Suspense, and aired on July 22, 1940, two years before Suspense went into production, became a series, and aired its first weekly episode in June of 1942. Suspense was the brainchild of none other than Alfred Hitchcock (1899-1980), who had already begun to make a name for himself directing such classic movies as Rebecca and Foreign Correspondent (both from 1940). 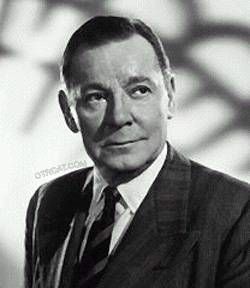 Hitchcock wanted to do a radio series with suspense as its central element, and not only chose "The Lodger" as the audition show for the proposed new series, but sought out his friend and accomplished actor of the silver screen Herbert Marshall (1890-1966, photo at right) to star in the lead role. As was the case with Hitchcock's films wherein he was famous for his cameo appearances, he also makes an appearance here--as he asks at the end of the live drama the most puzzling question of all, one at the very heart of "The Lodger." The question? We won't reveal it here, but will note that this audition episode (for what would go on to be one of Old Time Radio's longest running, best produced, and classiest shows) takes place in London. In the year 1888. In the district of White Chapel. And concerns a certain series of grisly murders. "The Lodger" caught Hitchcock's attention after viewing the play (adapted using the title Who Is He?) in London. It was based on the 1913 mystery novel of the same name written by Marie Adelaide (nee Belloc) Lowndes (1868-1947). 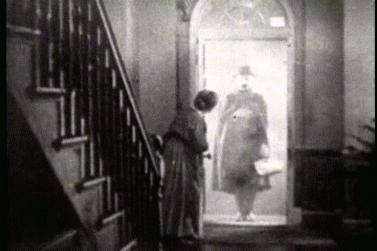 Hitchcock would go on to direct the 1927 silent film The Lodger: A Story of the London Fog, and while not technically his first it is regarded as the first "Hitchcock" film, for it displays many of the stylistic and thematic traits he would use in his later, more famous films. 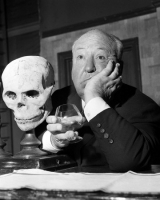 Leave it to Hitchcock to select this particular story for the Suspense audition--obviously one of his favorites with which he was intimately familiar--and then go on to direct this tense, suspenseful radio play--one which leaves the breathless listener guessing long after the final curtain has dropped. Terror is often accompanied by suspense in the unfolding of a thrilling narrative - or, to put it another way, a story which gives the reader a feeling of terror necessarily contains a certain measure of suspense.